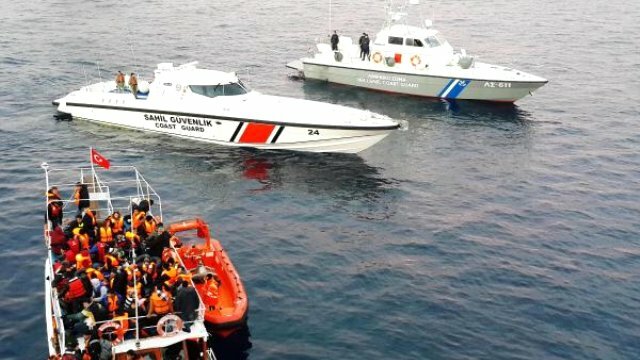 Eleven people were detained in Turkey’s Aegean resort district of Çeşme while they were on their way to escape to the Greek island of Chios. Detainees include Ş.U. and O.D., academics who were dismissed from Kars Kağızman University and Tokat Gaziosmanpaşa University respectively. State-run Anadolu Agency reported that the rest of the detainees are the family members of the two. Thousands of people have fled Turkey due to a massive witch-hunt launched by the Justice and Development Party (AK Party) government against sympathizers of the Gülen movement in the wake of a failed coup attempt on July 15. The government accuses the movement of masterminding the coup despite lack of any evidence to this effect. About 128,000 people have been purged from state bodies, 91,600 detained and 45,000 arrested since the coup attempt. Arrestees include journalists, judges, prosecutors, police and military officers, academics, governors and even a comedian.